It's the newest front in the de Blasio administration's push to desegregate New York City schools, and the debate is intense. Melissa Russo reporters on the mayor's plan to scrap an admissions test to some of the city's elite schools. Mayor Bill de Blasio said Sunday he wants to eliminate the high-stakes admissions tests for New York City's elite high schools over three years. De Blasio said the move will help increase diversity at the eight academically rigorous schools, including Stuyvesant High School and the Bronx High School of Science. Instead of the test, which students take in the eighth grade, de Blasio wants to rate students based on their grades in seventh-grade English, math social studies and science, plus scores on statewide math and English exams. Getting rid of the Specialized High Schools Admissions Test, or SHSAT, would require legislative approval. Right now, the test is the sole criteria for admission to the schools. Mayor Bill de Blasio said Sunday he wants to eliminate the high-stakes admissions tests for New York City's elite high schools over three years. Melissa Russo reports. 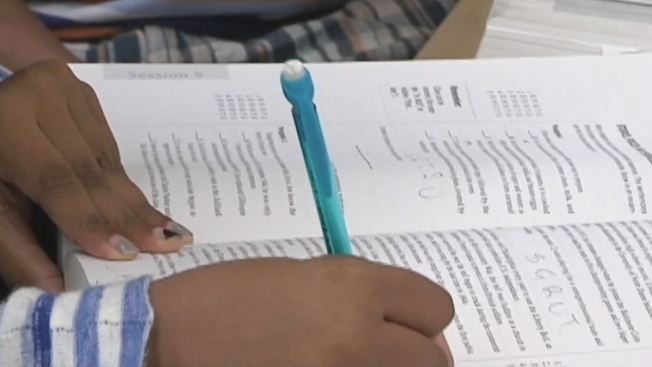 Middle- and upper-income families can spend thousands of dollars on tutoring for the exams. Critics have long complained that the reliance on the test leads to a lack of diversity at the schools, which are overwhelmingly Asian and white. 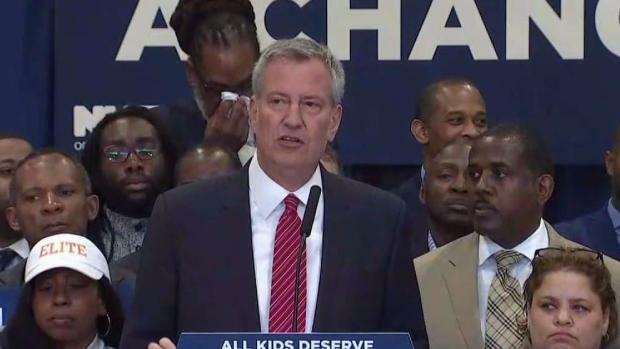 Only 10 percent of students at the elite schools are black or Latino, although they make up 70 percent of the city's overall student population, de Blasio said. Getting rid of the admissions test is expected to make 44 percent of offers go to black and Latino students, de Blasio said. It would also raise the number of offers to girls to 62 percent, compared with 44 percent now. The number of offers to Bronx residents would quadruple, he said. De Blasio said he will also reserve 20 percent of seats at each high school for low-income students, beginning in 2019. The process will take two years, he said.